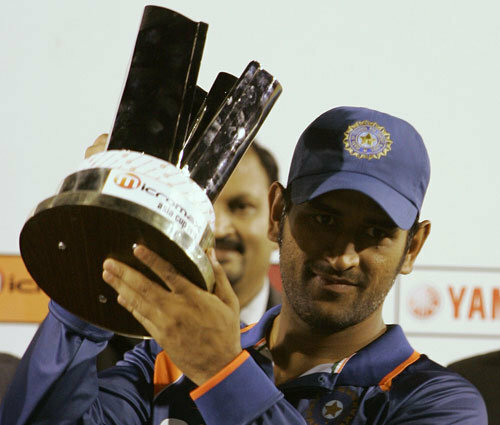 Finally, India have won the Asia Cup. They have broken the jinx of 15 years. It was a complete team performance by them, everyone contributed in this victory. They executed their plans well on the field, tt was a complete turn around of what we saw in the dress rehearsal match before the finals. It's one of the biggest finals that Team India has ever won. Don't remember the last time when India had won a final match this easily. Actually, they played brilliantly throughout the tournament. The match against Pakistan was one of the greatest match in the recent times. The way Indian lower-order handled the pressure during the dying moments of the game, was really amazing. Boys were pumped up to perform against their arch-rivals. After a disastrous T20 World Cup, this victory will surely boost the confidence of the Team. We always give credit to our batsmen for winning but this time our bowlers did a great job. Ashish Nehra reminded me of his 2003 World Cup spell against England, where he took 6 wickets. He produced some brilliant deliveries to remove some dangerous Sri Lankan batsmen. Praveen Kumar and Zaheer Khan supported him well. Despite of this victory, there are still some areas where team management has to work a lot. Fielding is one of them. India will be a far better side if they improve their fielding. To achieve this, they have to maintain a good fitness. They need to sort out some of their batting priorities as well. Don't forget Team India were playing without Sachin, Sehwag and Yuvi in the finals. It makes the victory even more bigger. They will surely return in the Team for the World Cup. If Team India keeps on playing like this, then the dream of winning the World Cup can be a reality. It's celebration time now. India are the new champs of Asia.